Happy Friday! I hope you had a great week. Our time in New York seems to be flying by so fast. This week, we hit our one month mark which means we only have about two more months left in this awesome city. I was feeling a little home sick earlier in the week, missing my friends, our cute little house, sleeping in our own bed and all of my crafting and baking supplies (I have to admit, I miss those the most). Even though the thought of leaving NYC in a few months makes me sad, I’m already looking forward to all of the amazing things I have planned when we return to our normal life. 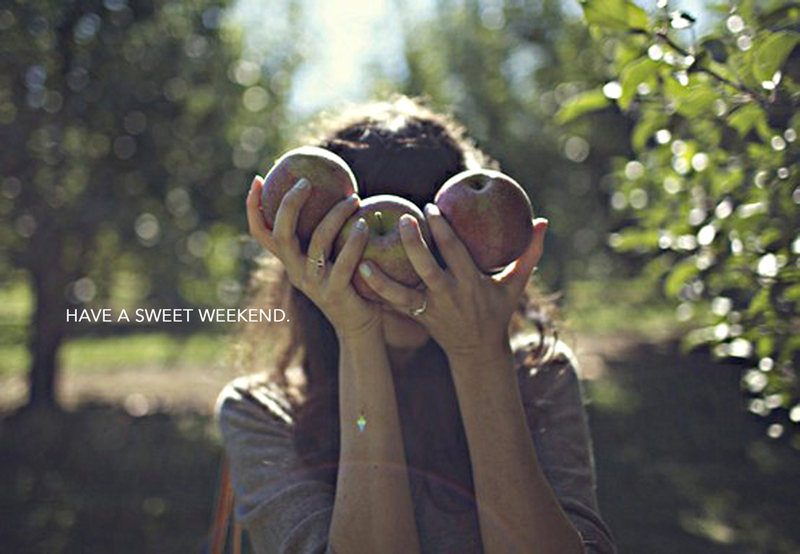 Tomorrow, we’re going apple picking! I’m ridiculously excited for this…. like squealing with giddiness excited. What can be more Fall than picking apples on an east coast orchard? (squeal). I’ve been researching apple recipe’s all week and boy has my list grown long! I just ordered one of these guys, which I hope arrives by Monday so that I can get to work on all of my apple baking adventures, starting with these apple chips I saw on Camille Styles! Can’t wait! (Squeal!) What are your plans for the weekend? Whatever you’re doing, I hope you have a wonderful time. xoxo!